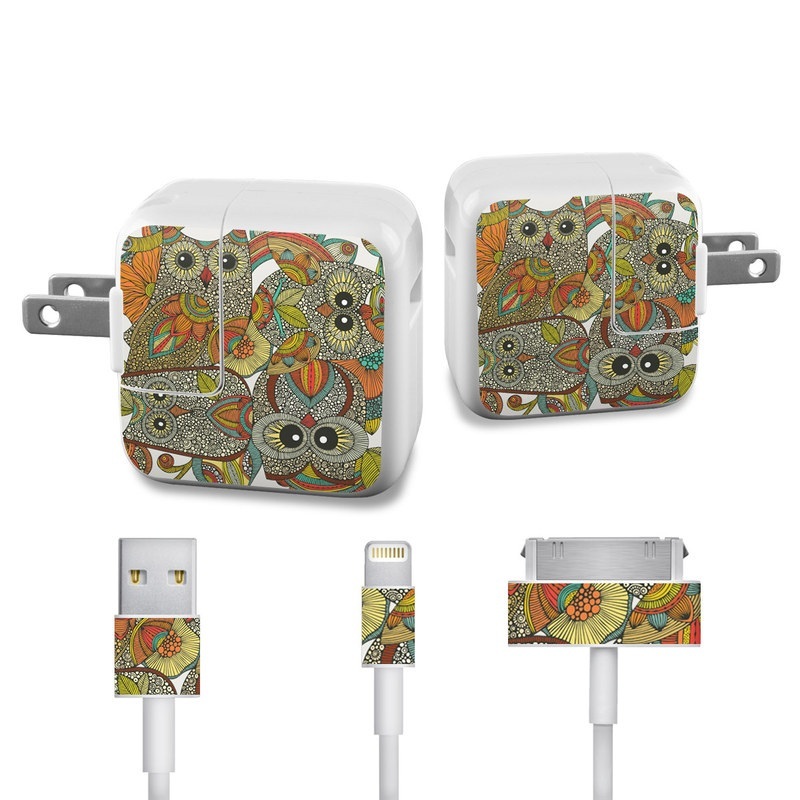 iStyles Apple 12W USB Power Adapter Skin design of Owl, Pattern, Visual arts, Art, Design, Textile, Illustration, Motif, Bird with white, green, orange, yellow, blue, red colors. Model APCH-4OWLS. Added 4 owls Apple 12W USB Power Adapter Skin to your shopping cart.